The Police & Crime Commissioner for Cambridgeshire | Do you have what it takes to inspire a young generation? Do you have what it takes to inspire a young generation? TO celebrate National Volunteers’ Week, Police and Crime Commissioner, Jason Ablewhite is paying tribute to the hundreds of volunteers who contribute to policing activities every day. Today we look at the role of Volunteer Police Cadet Leaders. Following the success of Volunteer Police Cadet units in Peterborough, Soham and Wisbech, and with new Units setting up in Cambridge and Cambourne, there are opportunities for leaders and assistant leaders to help with planning and delivery. 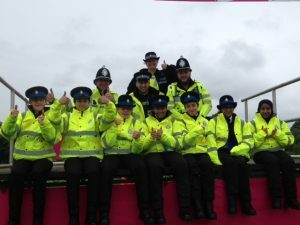 Being a Volunteer Police Cadet Leader is a fun and rewarding role allowing you to support young people to enjoy events and activities. You don’t need any specific qualifications or experience as full training and support is provided. Designed to encourage a spirit of adventure and good citizenship, the Volunteer Police Cadet scheme inspires young people, aged 13 to 18, to participate positively in their communities and promote better understanding of policing amongst their peers. If you can give up a couple of hours each week and want to do something productive in your free time then this could be exactly what you are looking for! If you are interested, contact Hannah Watson, Volunteer Coordinator for more details.